Being a paper presented by Mr Gbenga Olowo at the Aviation Economic Summit Group Breakfast Meeting in Lagos, recently. I am raising an issue for thought for the Aviation Industry. Let us ask ourselves why we are sitting here this morning. We are sitting here this morning at the Aviation Economic Summit Group Breakfast Meeting because of the airlines, No airline. no airport, no airline; no catering service; no airline no Nigerian Airspace Management Agency (NAMA); no airline, no FAAN; no airline, no all of us. Like Sabre Travel Solution Company, when I entered the industry, over 30 years ago, Nigerian Airways had engineering department, reservation and booking centre, cargo department, name it, the airline was everything, I couldn’t remember if Nigeria had an airport. It was Nigerian Airways. I couldn’t differentiate between an airport and Nigerian Airways. As at that time, the airline was big, I did not hear the airport asking Nigerian Airways you are owing me money. 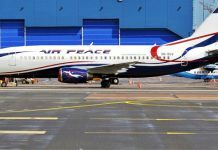 I couldn’t remember airspace asking Nigerian Airways, where is money? What is an airline today, reservation and ticketing is outsourced, catering is outsourced, engineering is outsourced, and everything is out sourced. All of us, are feeding on this empty body called airline. 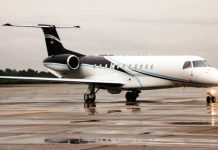 We now hear on the news, Federal Airports Authority of Nigeria is going to ground the airlines, they are owing, some of the foreign airlines are equally owing. I know why we owe. Economics is about reality in taking facts. When America realised that all her businesses were going bad, example, AIG, GM in the private sector, the president said, gentlemen, let us face the reality of our economic challenges; AIG was bailed out from tax payers’ money, same as GM Motors. How come that other economices are more realistic than African economy? During the time of 9/11, the airlines faced a very tough challenge world over. Insurance premium went up, it was about 350 per cent increase in insurance premium. I remember I was the Executive Director of Bellview Airlines at that time, and we made a brief visit to our then minister of aviation and complained what was done to other airlines in the world. Nigeria please help us, because our insurance premium has gone up, 350 per cent. Why did the United States of America bail out the airlines at that time? They saw that the 9/11 problem was a sovereign challenge. It was not a challenge to the airlines, it was a challenge to the sovereignty, it now affected all of us here in Africa. It was also a challenge therefore to our sovereignty, and we expected government to bail out the airlines, we never had bail out, we have to cough out the money we did not have to pay those increased insurance premium. Today, we say we have 14 airlines in Nigeria after the liberalisation, but I say the 14 airlines are not equal to the Nigerian Airways we had years ago. What we had in the market is substitution. We are replacing the disease that killed Okada Airlines; that killed Kabo Air, that killed Oriental Airlines, that killed Harco Air, that killed Harco Air, that disease was and is still there and may likely kill very present ones. Aviation Development Company (ADC) Airlines was doing very well; professionals were there; that disease killed them, Bellview is there now, walking on one leg, but it was the best airline of the time, when Nigerian Airways was not there. It was the pride of the country, now the reality is that all of us FAAN, NAMA, NAHCO, these organs feed on the airlines – yes. The airlines must pay for services, services rendered by FAAN, landing and parking, rent. But what do we find on our tariff today as airlines? We find ticket sales charge, 5per cent, passenger service charge, 5per cent and so the airlines have become a revenue collector. I don’t know any revenue collector in this world that does the job free of charge. If the International Air Transport Association, (IATA) collects revenue for you, it charges about 5per cent of the amount collected. I also know that when tax collectors were collecting money for Lagos State government, those companies were charging on the amount collected. The airlines in our system haven’t made our government realise the problems and challenges that we are facing. We collect the money but are not able to pay it to you because we have our own pressing need. Our own pressing need is that we are charging passengers in the aeroplane who must go and the priority is to fuel that aircraft. Rather than fuel the aircraft, I will not give the money to FAAN, NAHCO, NCAA, SAHCOL and the rest. So long I am collecting the revenue, the money is in my pocket. I will solve my problem first and the debt as my asset. How long are they carrying it as an asset! that is the reality. If you shut all the airlines, then, they will not be able to pay those funds anymore. The best idea is not to shut them down but the reality is to say all right, as from today, lets give you 50 per cent off: we are all feeding on the airlines, and the airlines are saying, we are weak, we are sick, help us. My humble submission is that if all of us survive on the airlines, and the airlines say we are sick, especially the Nigerian airlines, that are sick and if you don’t want them to go the way others went in the earlier days, let’s bail them out economically, that is the reality. Olowo is president of Sabre Travel Solutions. A licenced travel agent and member International Air Transport Association (IATA).